With its delicious two-tone finish, the Brovada dining room table set dishes out a double serving of clean-lined, contemporary style. Tabletop and seats are treated to a light-washed effect with hints of gray for a "weathered" aesthetic-a delightful complement to the fresh, crisp white. 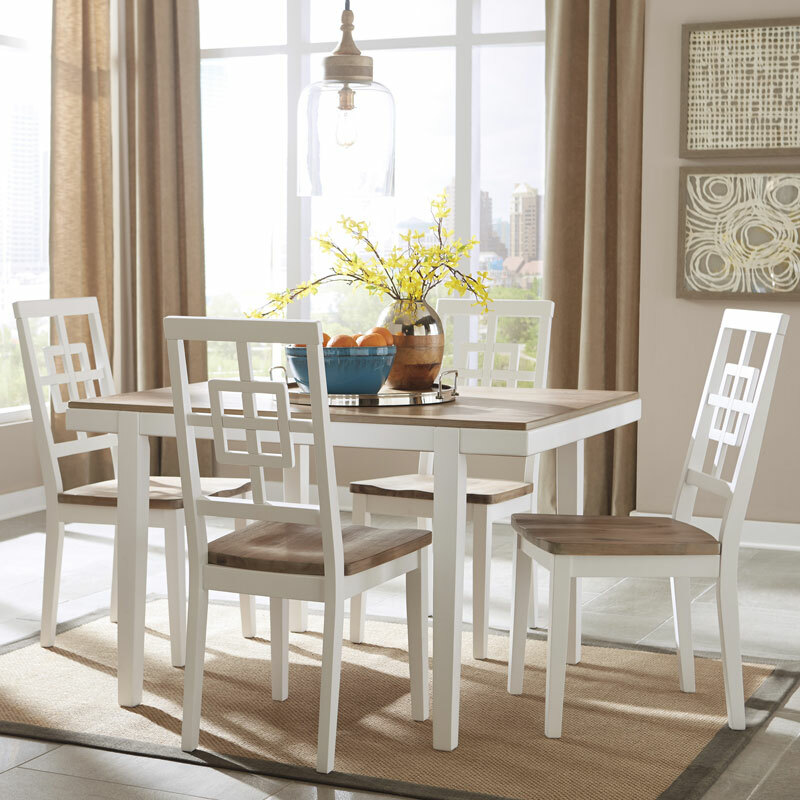 Open, airy lattice-back chairs really bring the look home.